Hannah studied physiotherapy at the University of South Australia. 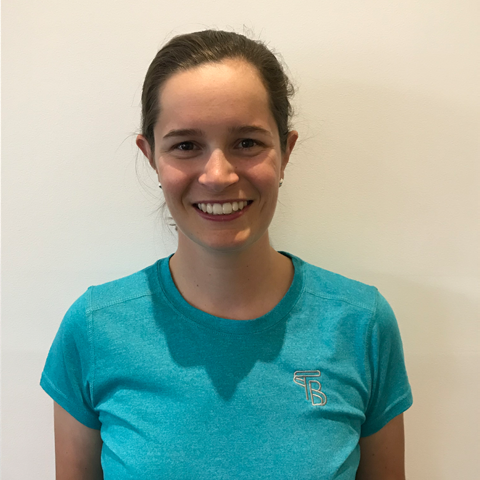 Originally from Tasmania, Hannah has competed on a national level in triathlon, road cycling, open water swimming and running. As a result she is very passionate about physiotherapy and injury prevention for those sports in particular. She also has a keen interest in adolescent injuries. Hannah loves working to solve the root cause of a problem rather than just treat the symptoms. She uses a mixture of manual therapy and rehabilitation including clinical pilates to achieve her client’s goals. She has completed extensive post-graduate professional development. In her spare time Hannah is still a very enthusiastic cyclist who organises bunch rides and cycling events through her roles with Rapha, Ridley and CycleHosts.